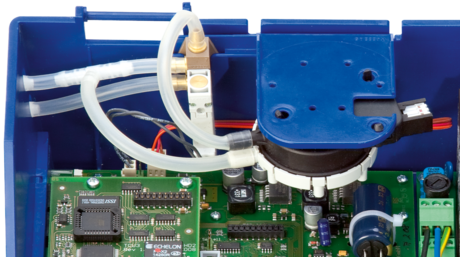 EM-AUTOZERO, automatic zero point correction for long-term stable volume flow rate measurement and reduced maintenance. The solenoid valve of the EM-AUTOZERO expansion module is integrated with the tube connection between the static differential pressure transducer and the differential pressure sensor of the VAV terminal unit. The TCU3 controller provides the control input signal for cyclical zero point corrections. For this purpose, the measuring tubes of the differential pressure transducer are temporarily short circuited, then the zero voltage is measured. This measured value is used as a correction value for the volume flow rate measurement until the next zero point correction. Expansion module for the EASYLAB controller TCU3, used for automatic zero point correction. Long-term stable volume flow rate measurement and reduced maintenance. 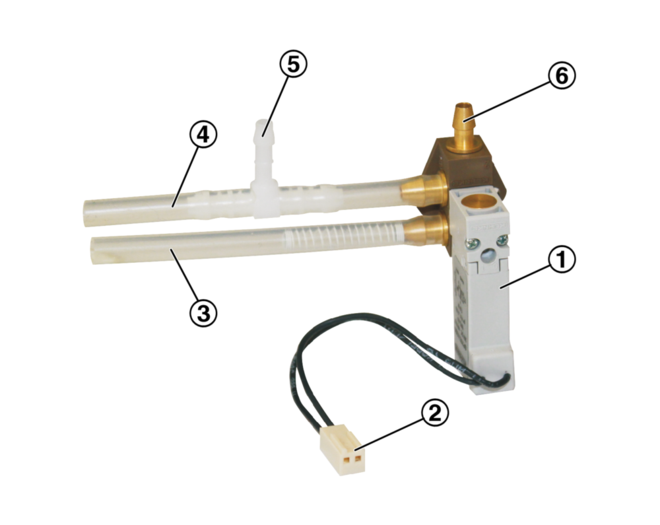 The expansion module comprises a solenoid valve, the connection cable and connection tubes.